This card is designed to be used by one phone number and for voice services only. Any misuse or abuse of the service will result in termination of the card. 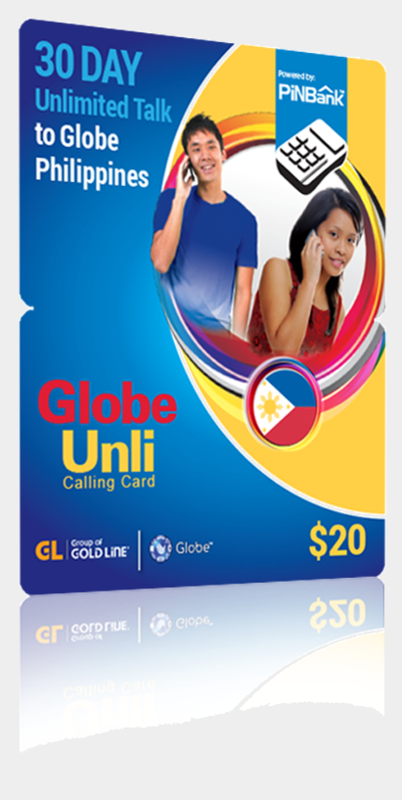 Card is designed to be used to call Philippines Globe Only (except: +63817, +63937, +63996). This service cannot be used from payphones. This service is NOT valid with private or hidden caller IDs. Please contact customer service at 1-866-308-1202 for greater detail. For the most up to date terms, rates & conditions, please refer to posters/flyers available at point of purchase.